Living with chronic illness is expensive. Between the monthly premiums, regular office visits, lab work, imaging tests, supplement shots, and prescriptions, it’s no wonder healthcare takes up a large part of our household budget. My daughter and I both need a lot of care. It’s one of the reasons why I take some work that enables me to have “good” healthcare coverage even though it very often makes my symptoms worse. Imagine my irritation then when even my “good” coverage isn’t enough to afford the medications we need. One symptom of chronic migraine is severe nausea, which often grows more intense whenever the migraine cycle worsens. Recently, I have been too nauseous to swallow my nausea medication. As anyone with chronic, severe nausea knows, this is a problem. If I can’t swallow the pill, I can’t feel better. If I can’t feel better, I can’t eat, my work productivity suffers, and I find it difficult to contribute fully at home. Even more disturbing, research indicates that persistent nausea is associated with more frequent and more severe migraine attacks. So, like any good patient, I talked to my doctor. She changed my prescription from a 4 mg Zofran tablet to a 4 mg Zofran disintegrating tablet. This sounded great. A nausea medication I could stick under my tongue that would simply dissolve and start working. No swallowing necessary. Problem solved. Unfortunately, once I got to the pharmacy, I realized I wasn’t going to be able to solve my problem that easily. My regular generic ondansetron tablets cost around $10 for 30 pills with my insurance. My insurance, however, doesn’t cover the dissolving version at all. Without insurance, the cost was around $650! The same thing happened recently with another medication. I take an opioid for the severe pain that comes with migraine, but I don’t take it every day. In fact, for many reasons, I won’t take it more than two or three times per week. I also don’t take it on days I experience a panic attack and take a Klonopin, which means I need an alternate pain medication to have on hand (even though the opioid works best and is amazingly inexpensive). I won’t take acetaminophen and can’t tolerate ibuprofen, so my doctor gave me some samples of Cambia, an NSAID called diclofenac. 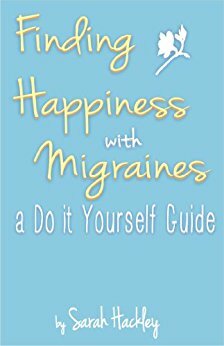 Generally, NSAIDs aren’t strong enough to treat my migraine attacks unless they come in a rapid-release form, such as an injectable. In such forms, if I take them early enough, they can even serve as an abortive, helping to keep a pending attack from turning full-blown. Since triptans don’t work for me, this is always a major bonus. Cambia is a dissolving NSAID, and the samples worked well. The medication worked rapidly enough to help abort some attacks and was strong enough to adequately manage moderate (though not severe) pain. All in all, it worked better than many things I’d tried, and so I asked for the prescription. Once again, I went to the pharmacy with high hopes. Once again, I left empty-handed. The drug cost $620! I know I’m not alone. All of us living with chronic illness experience this. Many people living with chronic migraine fervently count and hoard the number of triptans they can afford each month. It’s usually far fewer than the number of migraine days they get, and so they pick and choose which attacks to treat, hoping they pick the most severe ones. This inevitably worsens their disease prognosis, often making the disease more difficult to treat long-term. People with other conditions, like fibromyalgia, go months without their Lyrica or have to discontinue it altogether when they unexpectedly lose their health coverage – even though it may have been one of the only drugs helping to maintain quality of life. Those of us in the United States pay far higher prices for prescription medications than people almost anywhere else. This makes many prescribed medications out of reach for the majority of us. We want them. Our doctors want us to take them. Yet still we abandon the prescriptions at the pharmacy because we simply can’t afford them. This is absurd. Not only does prescription abandonment reduce our individual quality of life and often worsen our disease prognosis, it also impacts the economy. Without the drugs that could make our quality of life better, we work slower, we take more sick days, and our economic contributions wither. There has to be a better option. It turns out there is: Prescription savings cards, such as ScriptSave® WellRx. The savings card is free to get, can be used for the entire family, and isn’t insurance. The online search engine is easy to use and compares prices with the card across multiple pharmacies in each location. There’s even a mobile app! When I compared costs, the price for Cambia with the ScriptSave WellRx card was about $100 less expensive with the card than without. Not too great, but not bad either. That’s a full week of groceries! The cost savings with the ondansetron ODT, however, were more substantial. The price went from $650 to around $25! You can bet I’m going back to my doctor and asking her to rewrite that prescription. This time, I’ll even get it filled. Maybe, I can finally get some relief!